For many years, A Cut Above Exteriors has been providing high-quality home improvement services to homeowners in Vancouver and the surrounding communities. With excellent ratings in the Better Business Bureau (BBB) and hundreds of happy and satisfied customers, our company has quickly become the most trusted home improvement contractor in the region. We pride ourselves in outstanding customer service and a strong guarantee of every work we complete. We’re a fully licensed and insured contractor who backs our work with some of the most reliable materials and warranties in the industry. Roofing – As we receive an average of 40” of rainfall every year, it is highly important for our homes to be protected from moisture penetration. You can do so by installing a durable and weatherproof roof. Here at A Cut Above Exteriors, we install quality composite and metal roofing fit for the needs of Vancouver homeowners. Siding – A Cut Above Exteriors is an Elite Preferred James Hardie Siding Remodeler, a title given to just 75 of the thousands of companies nationwide that install James Hardie siding. 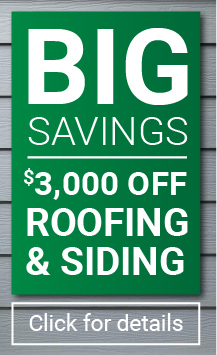 This makes us one of the most trusted James Hardie siding installers across the country. Windows – if you have old, inefficient windows, your home may suffer from cold drafts and significant energy loss. We can install topnotch Andersen® windows to make sure your home remains comfortable all year round. Remodeling – From patio door installation and painting jobs, to energy-efficient constructions, you can rely on A Cut Above Exteriors. As a Better Business Bureau (BBB)-accredited company, we make sure that our customers receive only the best services from our experts. If you think it’s time to invest in a major or even a minor upgrade project, you can get in touch with us to know your ideal options. Any of our professional staff will be glad to set up your appointment for a FREE consultation and estimate. Simply call us at 503.334.0733 or complete our contact form, and someone will quickly get in touch with you.